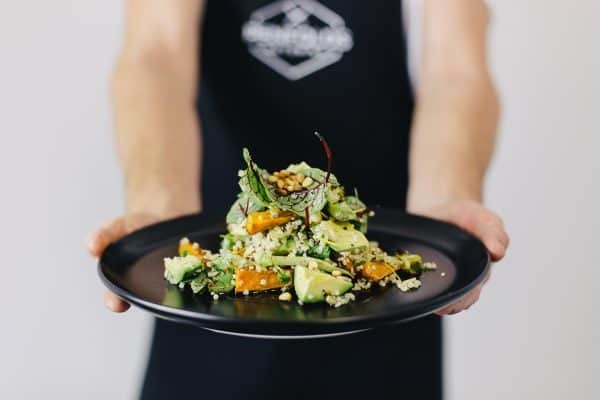 Our resident chef Daniel Penfold from Penfold Catering created this amazing salad for us to showcase in our Avocado Time Machine Intro Video (you can see the video and the salad here). 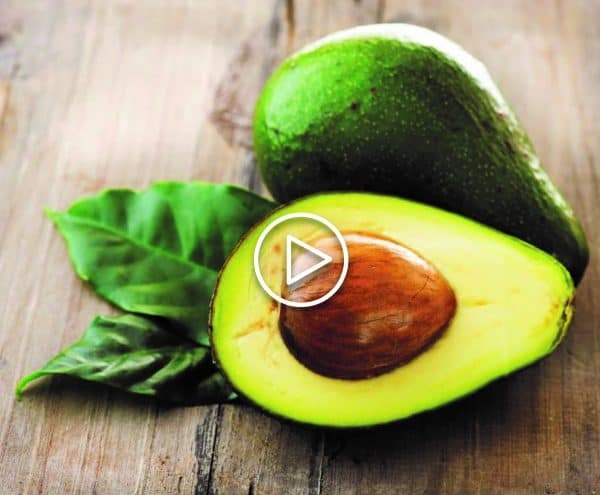 So we wanted to share with you this incredible salad that uses Natavo Zero Avocado. Peel and chop the sweet potatoes into 2 to 3 cm chunks. Place into a roasting tray with the chilli flakes, ground coriander and cinnamon, drizzle with olive oil and a little sea salt and black pepper, mix well. Spread out into an even layer and place in the hot oven for 15 minutes. Cook the quinoa in boiling salted water according to the packet instructions. Once cooked, drain and rinse the quinoa under cold running water, then leave to cool. Meanwhile, toast the nuts in oven for 4 minutes, then transfer to a food processor and pulse gently or use a motor and pestle and crush lightly. Halve the pomegranate and squeeze half the juice into a large bowl. Add 3 times as much extra virgin olive oil, the lime juice and fig syrup. Whisk well and season to taste. Add the cooled broccoli and cauliflower to a large bowl, roughly chop the coriander, finely slice the chilli and add along with the quinoa and sweet potato. Toss well, spread out on a serving platter, drop over the avocado pieces, mixed nuts and remaining pomegranate seeds.